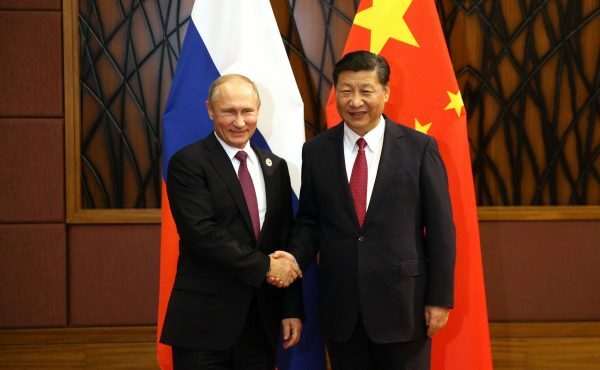 Chinese President Xi Jinping on Friday awarded one of the highest state honors to Russian President Vladimir Putin at the Golden Hall of the Great Hall of the People in the capital Beijing. Putin, who is on a state visit to China and is attending the Shanghai Cooperation Organization (SCO) summit, was awarded the first Friendship Medal of the People’s Republic of China (PRC) for his help to modernize the country and promote peaceful exchange between China and the rest of the world. According to the official news agency Xinhua, “In its primary colors of golden and blue, the main body of the PRC Friendship Medal adopts elements including a peace dove, the Earth, a handshake, and a lotus, while the chain features elements such as Chinese knots, evergreens, peonies, a jade disc and orchids”. It is the first time a national honor of this caliber is awarded to a foreign dignitary in this category. Meanwhile, the SCO meetings from June 8 to June 10 will examine ways the member states cooperate to combat terrorism, drug smuggling and international crime. Xi has previously called on the SCO to enhance security cooperation among members, especially to combat on terrorism, extremism, and separatism.